What is the one thing that the ultra rich, wildly successful and abundantly fulfilled people have in common? The right mindset. It is the foundation for a good life and the secret to The Secret. Managing your thoughts and training your brain to think in terms of possibilities will keep you connected with your passion and keep you vibrating at a frequency that will automatically attract success. Join our first show as we discuss mindset and you hear others share their ideas on how to stay positive. 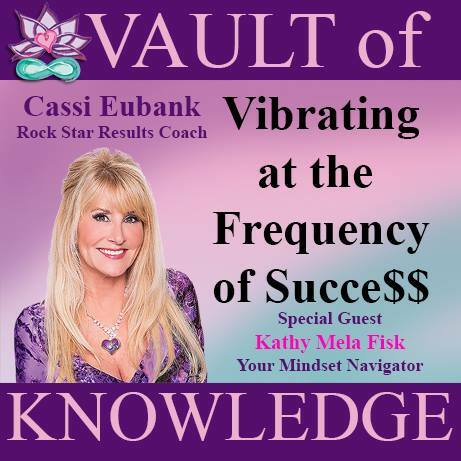 BONUS Kathy Mela – Your Mindset Navigator shares her 3 tips on getting unstuck and we ask listeners, “What do you do to cultivate your self-love?” Hear answers from Shirah Penn, Lisa Tishman, Mae Matyas, Cat Wagman, Sherrie Gottesman and Laura Diaz.